Jean Robinson was born and educated in Cardiff. She enjoyed many of the delights of being Welsh, such as singing with the Aelwyd choir in the National Eisteddfods and taking part in concerts all over the country. She studied music and history in Nottingham, training as a teacher and she still teaches part time in Surrey. She also runs art workshops for talented children from local schools. 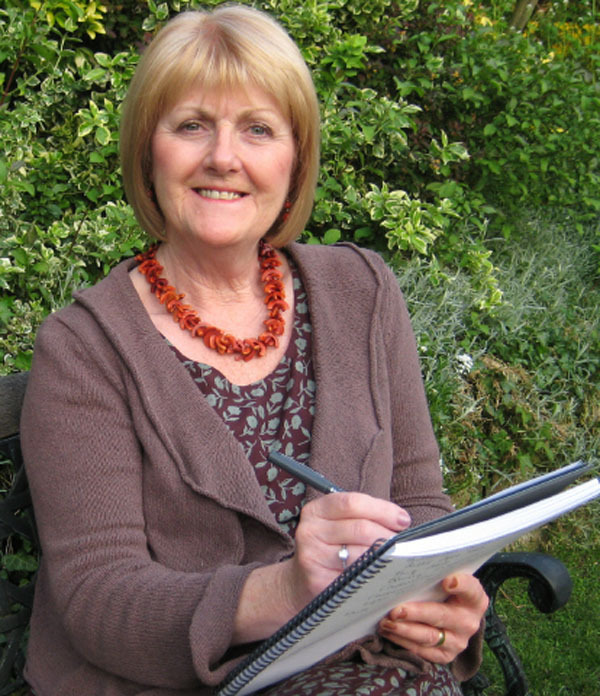 Jean began painting in 1987 when her youngest son started school. 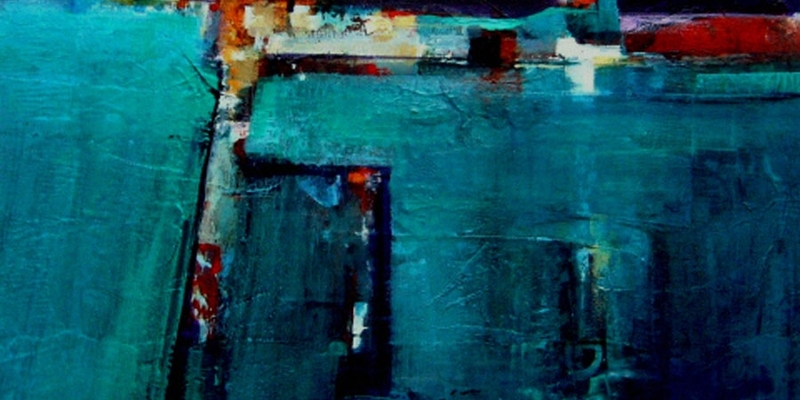 She joined a group of artists who for several years were tutored by Mike Bernard R.I.
Jean paints mainly in a semi-abstract way using acrylics, watercolours, inks and collage. Her paintings are intuitive rather than literal and emerge from remembered images and shapes, with colour often being the starting point. 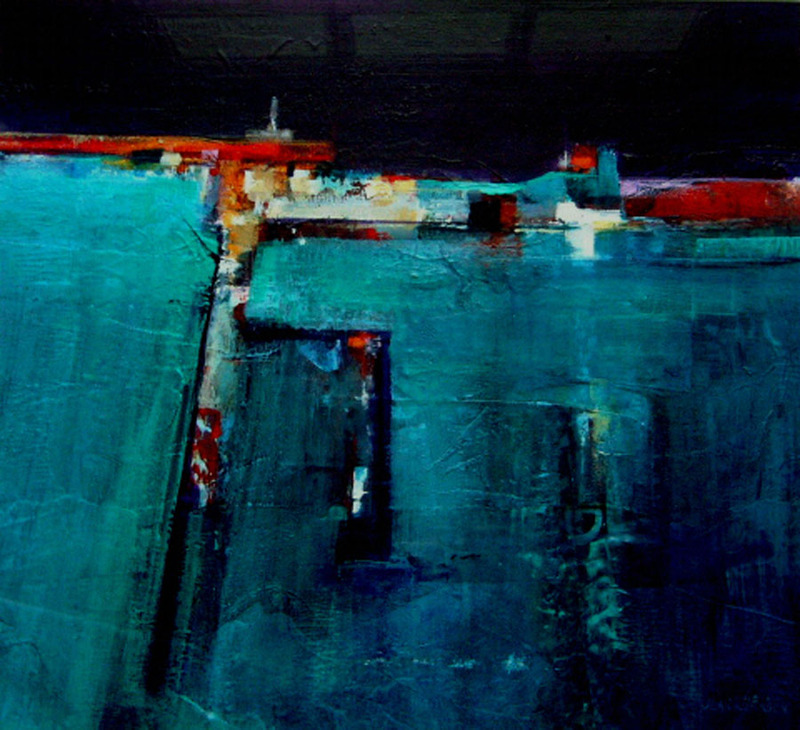 The Welsh landscape, the hills, the seaside and towns are represented in Jean’s work. Music in many forms influences her paintings – the bold and colourful ones seem to grow when listening to jazz and rock music and the mellow ones emerge with the classics! 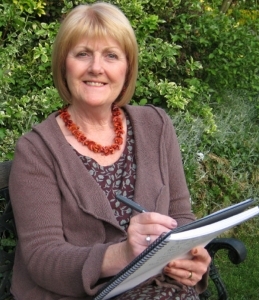 Jean’s work is held by a number of galleries including the Minster Gallery, Winchester. Some of her pictures have been reproduced as greeting cards for Marks & Spencer. Deborah Manifold Award for the most innovative painting (R.I. April 2014). Jean was elected a member of the Royal Institute of Painters in Water Colours in April 2004, to the Council of the R.I in April 2007 and again in 2013.